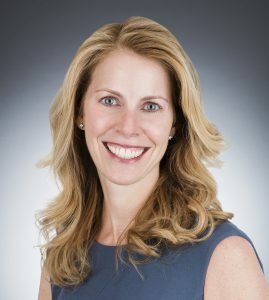 Catherine Ide is the Center for Audit Quality’s (CAQ) Senior Director of Professional Practice, where she plays a pivotal role in leading the CAQ’s regulatory and public policy initiatives and activities. Previously, Ide served as Director of Audit at the global law firm of Fragomen, Del Rey, Bernsen & Loewy. In that role, she helped create the firm’s internal audit and compliance function. While at Fragomen, Nance developed and launched their global practice review audit plan to over 46 offices worldwide. Prior to Fragomen, Ide was in the audit practice at PricewaterhouseCoopers for over 15 years, most recently as a Senior Manager in PwC’s Chief Auditor Network providing auditing advice and technical guidance on auditing standards, policies, and methodologies at the local engagement level, particularly related to areas of internal and external inspection findings. Nance is a Certified Public Accountant licensed in Virginia, and she holds a BS in Accounting with Special Attainments in Commerce from Washington & Lee University.